• Ideal for vertical mounting. • Heavy duty cast iron or plastic construction. • Clean-out port and plug. • Available in 1¼”, 1½”, 2″ and 3″ NPT threaded connections. 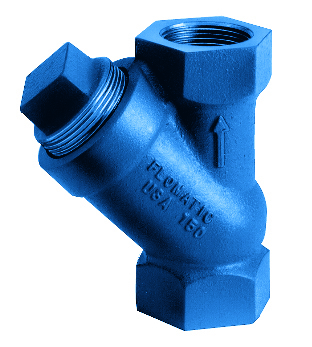 • Also available in 4″ flanged (125#). • Recommended for flow velocity of 3′ to 5′ per second. • Horizontal installation requires a 20′ static head.